July 06, 2013: While the DRDO puts its full weight behind priority delivery of the LCA Tejas to the Indian Air Force (IAF), its new Chief Dr Avinash Chander has made an ambitious claim: that the stealth fifth generation advanced medium combat aircraft (AMCA) will be delivered in 12-15 years. 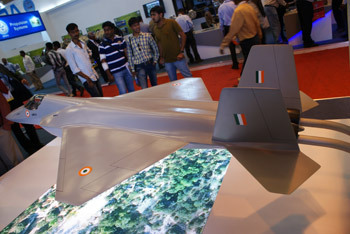 The AMCA, while not a formally sanctioned project yet, is still on the drawing board in the conceptual phase, and will receive formal funding only once deliveries begin of the FOC LCA Tejas Mk.1. 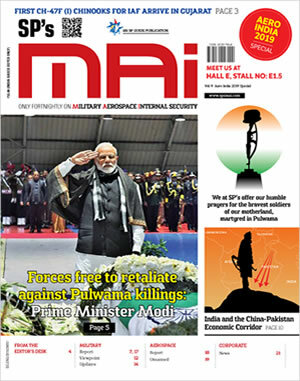 The DRDO is currently working on several enabling technologies, including stealth, vectored thrust nozzles, serpentine air intakes, internal weapons bays, advanced avionics, etc to form the foundations of the advanced aircraft. The aircraft will be larger and more powerful than the Indo-Russian PMF/FGFA, and will be a priority stealth strike platform for operations behind enemy air defences. Current research and development on the project is being funded through internal resources, and work will pick up in earnest from late 2014 when the burden of the LCA Tejas is off the DRDO's shoulders. A degree of foreign consultancy will be inevitable on the AMCA, sources indicate.